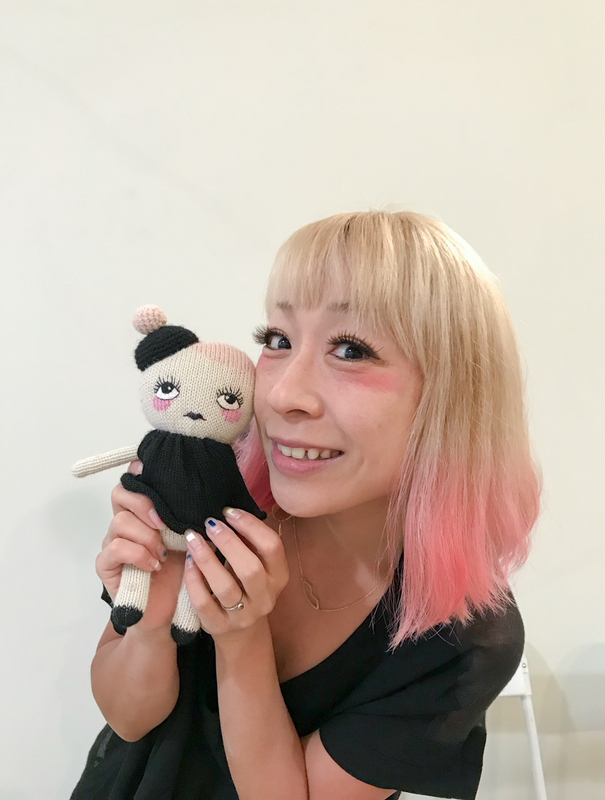 The lovely Kaz, toy designer and creative force behind Japanese toy brand Kukkia, came over all the way from Japan to join us at our latest ShopUp event in East London. She’s such an amazing woman — a beautiful ball of positive energy, really! She is so fun and expressive, you just have to love her. Emilie, Helen and I all brought one child with us — Vivi, Edie and Pim, all aged 10 or 11. They were transfixed at Kaz’s stand from about the beginning. 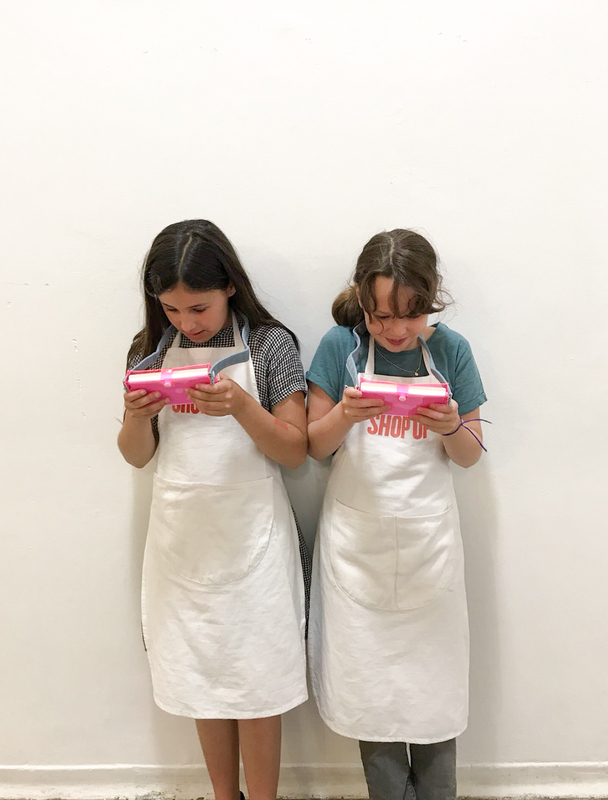 They had a blast discovering all of the super fun and clever toys and chatting away with Kaz. Who asked them to give their honest feedback about her toys and even challenged them to design a toy for her! She also very kindly gave a ‘Wakka‘ toy to each of them — immediately dubbed ‘Gameboy’, because it looks just like one. Big difference though that there is not one bit of technology inside the Wakka. It works entirely on water! By pushing the left and / or right button, little puff of water are pushing away tons of tiny rings that you will have to get on the two spikes. Entirely addictive, I can tell you. The Wakka by Kukkia comes in a pink or yellow pouch with a cool denim strap so can be hung around the neck and picked up to play with at any time. This toy is a huge hit in our family. Casper is unable to get all the rings on both spikes, but instead has invented a ‘good’ and ‘bad’ spike. He just has to get the rings around the ‘good spike’ which is totally doable. Pim is by now a Wakka master — he can get all rings on the spikes within a minute! 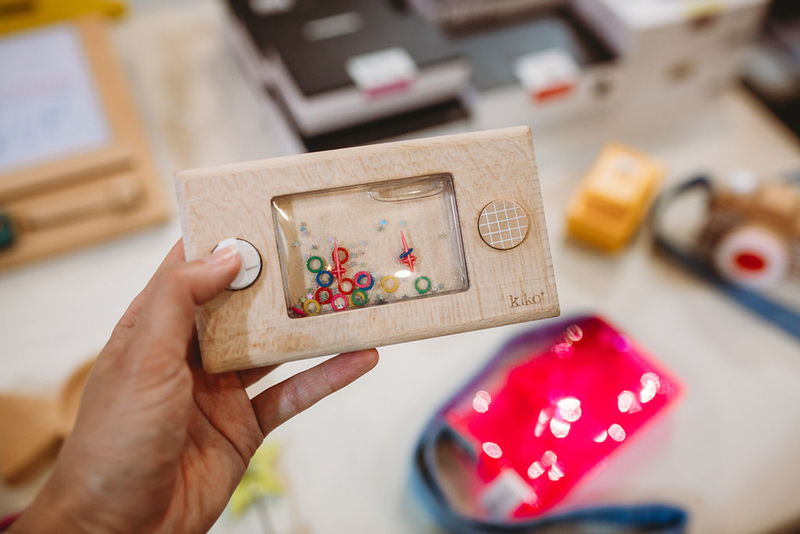 The Wakka is such a fun ‘old fashioned’ toy, and it’s great to bring traveling too. Children will definitely be entertained for quite some time! PS When do you give your child a mobile phone? I had a game just like this one when I was a kid that I had forgotten about!!! Thanks for taking me down memory lane! I did not know there was still versions of this game that existed. Still a firm favourite over here! I’m with Casper!! Every child in our house (from 2 to 10, and one aged 40 something) is totally hooked! These toys were really really common when I was a child in India. 80s kid. I am curious to know how these have held up. Could you tell me if they still work? Brio labyrinth game, suitable for 6-99 years!